There are myriad tracking systems. Some are 'lag time' indicators, that is, the data is collected after an item has passed a point for example a bar code or choke point or gate. Others are 'real-time' or 'near real-time' like Global Positioning Systems depending on how often the data is refreshed. There are bar-code systems which require a person to scan items and automatic identification (RFID auto-id). For the most part, the tracking worlds are composed of discrete hardware and software systems for different applications. That is, bar-code systems are separate from Electronic Product Code (EPC) systems, GPS systems are separate from active real time locating systems or RTLS for example, a passive RFID system would be used in a warehouse to scan the boxes as they are loaded on a truck - then the truck itself is tracked on a different system using GPS with its own features and software. KEY FINDERS, also known as Keyfinders or Key Locators or Electronic Finders, are small electronic devices used to recover misplaced or lost key sets. 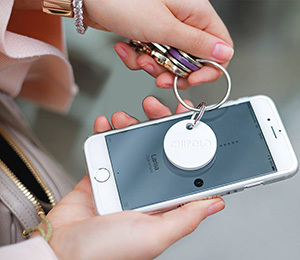 Their goal is to reduce the time it takes to locate keys or other personal items, while remaining unobtrusive. Some key finders beep on-demand. SMART LABEL, also called SMART TAG, is an extremely flat configured transponder under a conventional print-coded label, which includes chip, antenna and bonding wires as a so-called inlay. The labels, made of paper, fabric or plastics, are prepared as a paper roll with the inlays laminated between the rolled carrier and the label media for use in specially-designed printer units. In many processes in logistics and transportation, the barcode, or the 2D-barcode, is well established as the key means for identification in short distance. Whereas the automation of such optical coding is limited in appropriate distance for reading success and usually requires manual operation for finding the code or scanner gates that scan all the surface of a coded object, the RFID-inlay allows for better tolerance in fully automated reading from certain specified distance. However, the mechanical vulnerability of the RFID-inlay is higher than the ordinary label, which has its weaknesses in its resistance to scratch. best Bluetooth tracker - "Check out the Tile line." Best Luggage Tracking & Locating Devices for Travel 2017 - Nerd Techy. 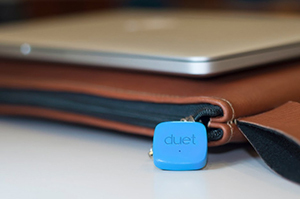 FINDING THE BEST LOST-ITEM TRACKERS - Tile, TrackR and Duet Reviewed - The Wall Street Journal. Jaguar & Land Rover are making it a lot harder to forget your wallet - The Verge. LUGGAGE TRACKING DEVICES - Air Travel Forum - TripAdvisor. 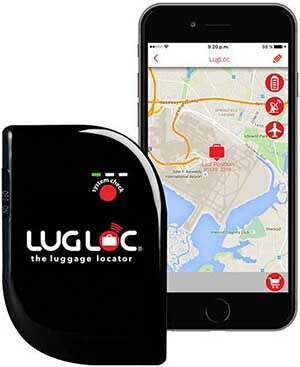 LUGGAGE TRACKING DEVICES - LugLoc, TrakDot, Okoban & More - The Points Guy. MAKING THE CASE FOR LUGGAGE TRACKING - The Wall Street Journal. 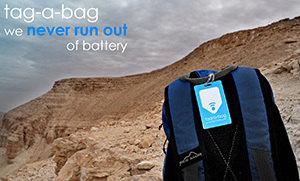 NO MORE LOST LUGGAGE - 6 Devices to Track Your Bags - Her Tracking List. Tile brings video & voice to its trackers with help from Comcast - engadget. TOP 10 BEST SMART LUGGAGE TRACKER DEVICE REVIEWS 2017 - Flipboard. Tractive announces first GPS tracking collar for cats - The Verge. Apsung Mini Bluetooth GPS Tracker - "Apsung Mini Bluetooth GPS Key Tracker, Key Finder, Bicycle Tracking, Smart Anti-lost Tag Nut Find 3, Phone Wallet Bag Pet Locator with App Control Bi-directional Alarm for iPhone / Android, Pack of 4." Deeple - "Bringing Good Things Back." Online Lost & Found QR Tags. Save time and money if you lose your personal belongings! 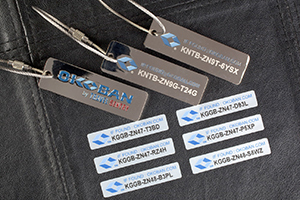 QR tag designed for keys, suitcases, bags, bagpacks, and all other applications where a keyring/steel-wire-attached tag will fit. 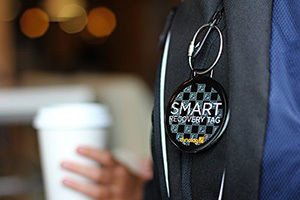 The tag can be used as a QR key ring or attached to your luggage. Duet by PROTAG - "Losing a phone is much like losing your life: contact lists, emails, calendars, Instagram, private photos… you name it. This is because each time you set down your phone, your brain isn’t paying attention. That is why the Duet is designed to help you notice your phone before it’s lost." Dynotag Web/GPS Enabled QR Smart Deluxe Steel Luggage Tag - "You will ACTIVATE and make this tags yours using the special "Activation Code" on the tag itself. Activation is simple: Just create a free account at Dynotag.com, sign in, then click "activate tag" on top. 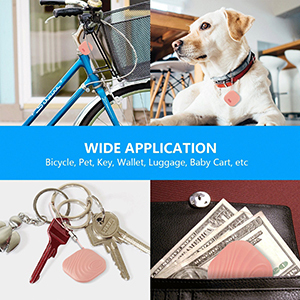 Smart Tags for the Mobile Internet Age! Specially encoded QR code and web address is unique and belongs to YOU, the dynotag owner. Every dynotag has a private web page that is addressed by the QR code or the provided unique web address - this enables a dynotag to be easily readable by smartphones (scan the QR code) or any web browser on any computer by visiting the included unique web address. Works anywhere on the planet with Internet. 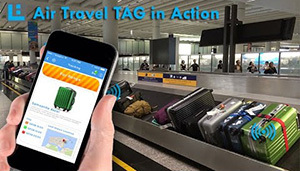 Dynotag Web/GPS Enabled QR Smart Luggage Tag Set - "Never Lose Your Belongings Again!" You will ACTIVATE and make these tags yours using the special "Activation Code" on the tag itself. 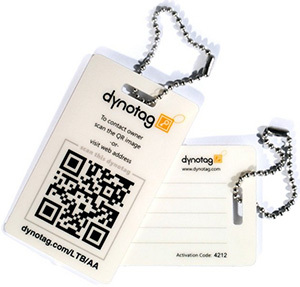 Activation is simple: Just create a free account at Dynotag.com, sign in, then click "activate tag" on top. This product consists of MULTIPLE UNIQUE TAGS - so you will have to activate EACH tag in the set. Each tag is independent - so you can activate them yourself with different information - or give them to others to create their own Dynotag account and activate them for themselves. 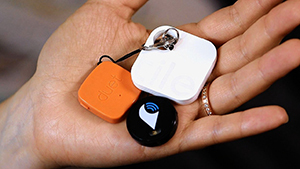 Smart Tags for the Mobile Internet Age! Specially encoded QR code and web address is unique and belongs to YOU, the dynotag owner. Every dynotag has a private web page that is addressed by the QR code or the provided unique web address - this enables a dynotag to be easily readable by smartphones (scan the QR code) or any web browser on any computer by visiting the included unique web address. Works anywhere on the planet with Internet. You do NOT have to be in the vicinity of your tag to update its contents, just sign into your Dynotag account and update your tag content as you need - as often as you want. Tough, waterproof, weatherproof. NO electronics to break, NO batteries to die when you need them most. All needed functionality and ample room included for life, NO subscription plan is needed. 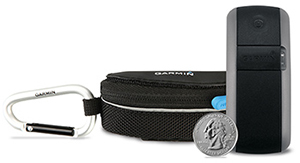 Garmin GTU 10 GPS Tracking Unit - small, lightweight and waterproof GPS locator that combines a web-based gps tracking service so you can keep watch on children, pets, luggage, property, or whatever is important to you. You can track your GTU 10 from our secure website using any computer or with the free Garmin Tracker app. Gego - "The golbal tracker for all the things you love." 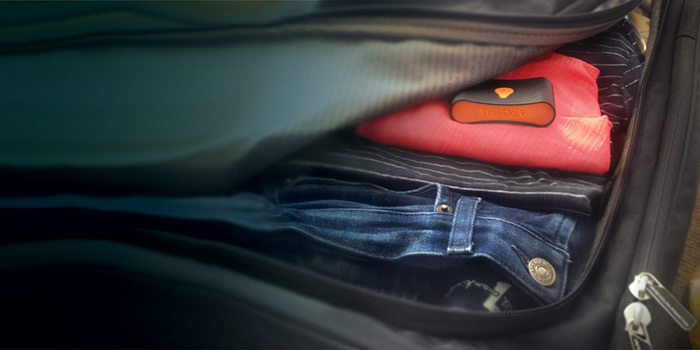 Track your luggage anywhere across the globe. 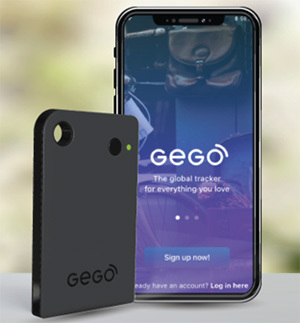 GEGO is a state-of-the-art global tracker that locates all the things you love: kids, purse, bike, car, and valuables! Compliant with IATA, FAA, TSA and other official regulations. 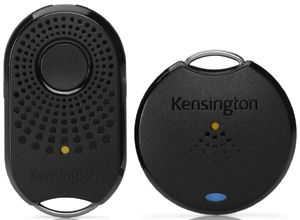 Kensington Proximo Bluetooth Tracker & Alarm for iPhone, Keys & Bags - "You lost it. Proximo finds it." LOC8ING Air Travel TAG - "Anything. Anywhere. Anytime." Calling all frequent travelers. Know your checked baggage is ON-BOARD with you! Proximity notifications Without the need for cellular or WiFi network coverage. Know when your luggage is ready for pickup on airport carousel. Works worldwide! Completely FREE! with FREE App for iPHONE and Android devices. Okoban - since 2009. "The Global LOST & FOUND Solution." Okoban is linked to WorldTracer - the airline industry tracing system used by over 400 airlines at over 2,800 airports worldwide. Tile - since 2014. "The world's largest lost and found." The Tile App on your iPhone makes it easy to find your Tile(s) anywhere, anytime. Just attach, stick or drop your Tile into any item you might lose: laptops, wallets, keys, guitars, bikes - you name it. Then get on with the fun. 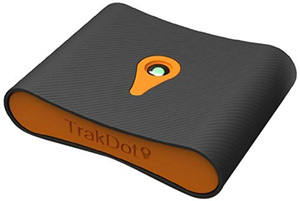 Trakdot Luggage Tracker - since 2014. "Track your luggage while traveling." 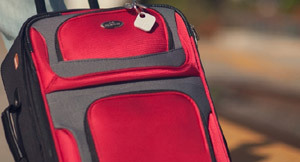 The first affordable luggage tracking device. Tells you where your bag is when you land. Provides unlimited global coverage. All for one low annual fee. 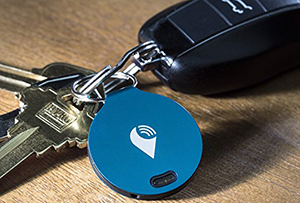 TrackR Bravo - "Track your phone, wallet, keys & anything else with TrackR!" Locate anything in seconds using your iPhone or Android. The Thinnest Tracking Device. Ever.